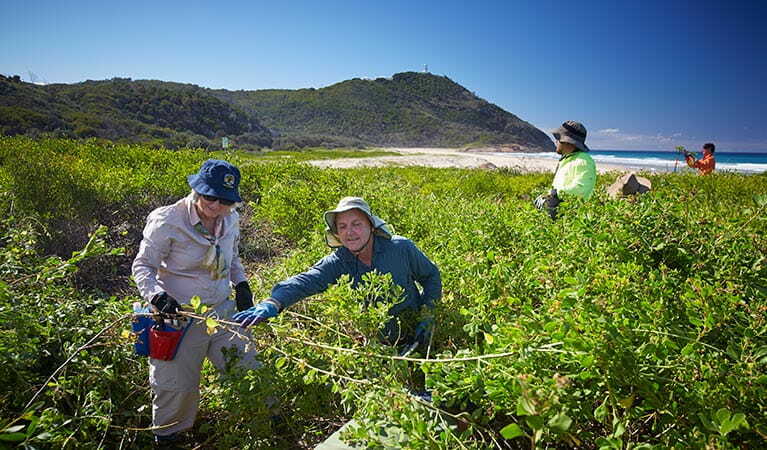 The fragile coastal dune system of Arakoon National Park on the beautiful NSW Mid North Coast is under threat from invasive weeds such as bitou bush. 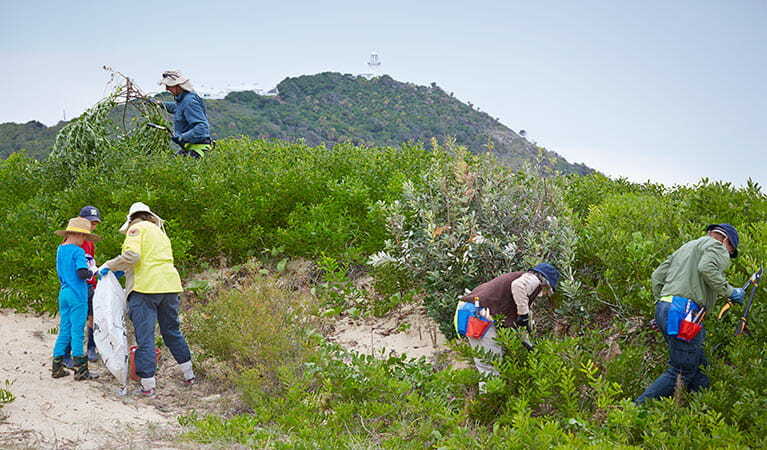 By volunteering with the Arakoon bushcare group for just 2 hours a week, you can help stem the tide of invasive weeds like bitou bush and restore native dune habitat. Beach Access Road, adjacent to the nursery. Email Cath Ireland or phone 0459 846 833. Volunteering with the Arakoon bushcare group is a productive and satisfying way to help the local environment and learn about the unique ecosystem of Arakoon National Park in a social and supportive environment. Aside from its regular volunteer work, the Arakoon bushcare volunteer group also participates in a yearly Biggest Beach Bitou Bash in May. Whether you’re a local or someone planning a visit to the area, why not set aside a few days for this weeding bonanza? 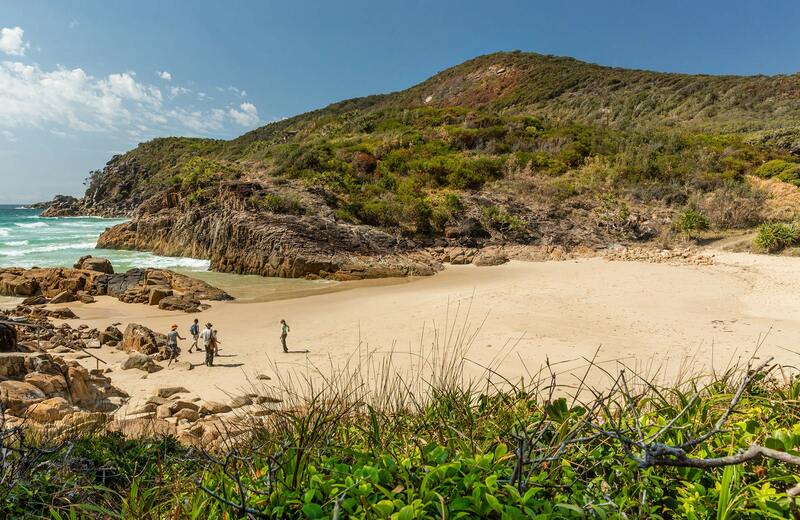 The event is a collaborative effort between NSW National Parks and conservation organisations. Volunteers even get to camp for free in local national parks during the event. Training, supervision, tools, herbicide-resistant gloves, and morning tea are all provided. Bring along insect repellant when you volunteer.